This 3/4 size carbon fibre cello bow offers a lightweight and durable alternative to traditional wooden bows. The Orchestra bows are increasingly popular with students and professionals for their great response, combined with the high quality ebony french frog. The Orchestra design uses Carbon Fibre which is much more lightweight and more durable than the traditional wooden bow. 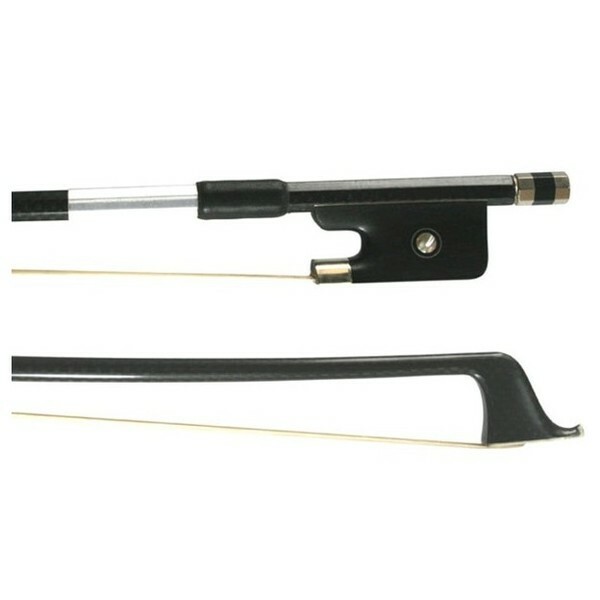 This is not only great for beginner instrumentalists who would tire from prolonged playing, but also for professionals who need a virtually indestructible bow. Because these bows are not made from wood, they do not suffer from similar problems such as gradual warping. Many wooden bows are made from Pernambuco wood, which comes from trees deep in the Brazilian Amazon. Without the use of wood in these bows, Orchestra bows are doing their bit to prevent deforestation.